For several decades before the present era there have been debates between proponents of the recent African origin of modern humans, and the multiregionalist model. 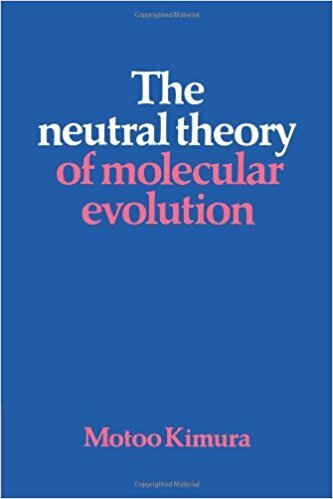 Though molecular methods in a genetic framework have come of the fore of late these were originally paleontological theories, with Chris Stringer and Milford Wolpoff being the two most prominent public exponents of the respective paradigms. Oftentimes the debate got quite heated. If you read books from the 1990s, when multiregionalism in particular was on the defensive, there were arguments that the recent out of Africa model was more inspirational in regards to our common humanity. As a riposte the multiregionalists asserted that those suggesting recent African origins with total replacement was saying that our species came into being through genocide. Though some had long warned against this, the dominant perception outside of population genetics was that results such the “mitochondrial Eve” had given strong support to the recent African origin of modern humans, to the exclusion of other ancestry. 2002’s Dawn of Human Culture took it for granted that the recent African origin of modern humans to the total exclusion of other hominin lineages was established fact. In 2008 I went to a talk where Svante Paabo presented some recent Neanderthal ancient mtDNA work. It was rather ho-hum, as Paabo showed that the Neanderthal lineages were highly diverged from modern ones, and did not leave any descendants. Though of course most modern human lineages did not leave any descendants from that period, Paabo took this evidence supporting the proposition that Neanderthals did not contribute to the modern human gene pool. When his lab reported autosomal Neanderthal admixture in 2010, it was after initial skepticism and shock internally. I know Milford Wolpoff felt vindicated, while Chris Stringer began to emphasize that the recent African origin of modern humanity also was defined by regional assimilation of other lineages. The data have ultimately converged to a position somewhere between the extreme models of total replacement or balanced and symmetrical gene flow. This is not surprising. Extreme positions are often rhetorically useful and popular when there’s no data. But reality does not usually conform to our prejudices, so ultimately one has to come down at some point. The data for non-Africans is rather unequivocal. The vast majority of (>90%) of the ancestry of non-Africans seems to go back to a small number of common ancestors ~60,000 years ago. Perhaps in the range of ~1,000 individuals. These individuals seem to be a node within a phylogenetic tree where all the other branches are occupied by African populations. Between this period and ~15,000 years ago these non-Africans underwent a massive range expansion, until modern humans were present on all continents except Antarctica. Additionally, after the Holocene some of these non-African groups also experienced huge population growth due to intensive agricultural practice. 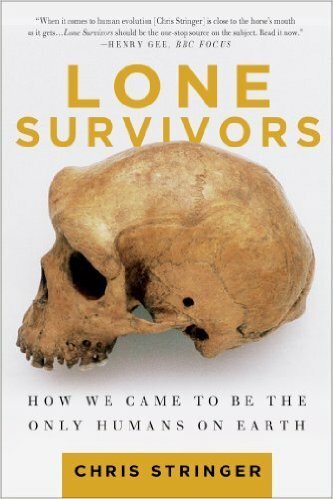 To give a sense of what I’m getting at, the bottleneck and common ancestry of non-Africans goes back ~60,000 years, but the shared ancestry of Khoisan peoples and non-Khoisan peoples goes back ~150,000-200,000 years. A major lacunae of the current discussion is that often the dynamics which characterize non-Africans are assumed to be applicable to Africans. But they are not. 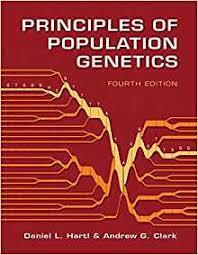 A 2014 paper illustrates one major difference by inferring effective population from whole genomes: African populations have not gone through the major bottleneck which is imprinted on the genomes of all non-African populations. The Khoisan peoples, the most famous of which are the Bushmen of the Kalahari, have the largest long term effective populations of any human group. The Yoruba people of Nigeria have a history where they were subject to some population decline, but not to the same extent as non-Africans. One thing is that we have to consider that the assimilationist model which seems to be necessary for non-Africans, also applies to Africans. For years some geneticists have been arguing that some proportion of African ancestry as well is derived from lineages outside of the main line leading up to anatomically modern humans. Without the smoking gun of ancient genomes this will probably remain a speculative hypothesis. 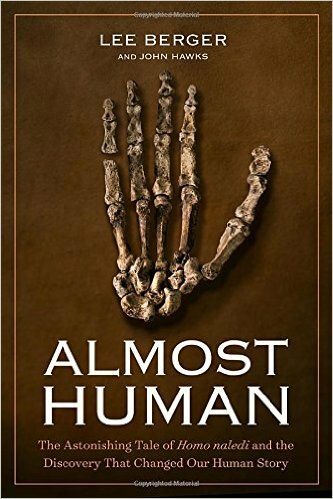 I hope that Lee Berger’s recent assertion that they’ve now dated Homo naledi to ~250,000 years before the present may offer up the possibility that ancient DNA will help resolve the question of African archaic admixture (i.e., if naledi is related to the “ghost population”?). The second dynamic is that the bottleneck-then-range-expansion which is so important in defining the recent prehistory of non-Africans is not as relevant to Africans during the Pleistocene. The very deep split dates being inferred from whole genome analysis of African populations makes me wonder if multiregional evolution is actually much more important within Africa in the development of modern humans in the last few hundred thousand years. Basically, the deep split dates may highlight that there was recurrent gene flow over hundreds of thousands of years between different closely related hominin populations in Africa. Ultimately, it doesn’t seem entirely surprising that the “Out of Africa” model does not quite apply within Africa. Addendum: Over the past ~5,000 years we have seen the massive expansion of agricultural populations within the continent. The “deep structure” therefore may have been erased to a great extent, with Pygmies, Khoisan, and Hadza, being the tip of the iceberg in terms of the genetic variation which had characterized the Africa during the Pleistocene. Posted in Evolution, Genetics, Genomics, Human GeneticsTagged Africa, Genetics, Genomics, Human Evolution1 Comment on Beyond “Out of Africa” and multiregionalism: a new synthesis? The distribution of deleterious genetic variation across human populations is a key issue in evolutionary biology and medical genetics. However, the impact of different modes of subsistence on recent changes in population size, patterns of gene flow, and deleterious mutational load remains to be fully characterized. We addressed this question, by generating 300 high-coverage exome sequences from various populations of rainforest hunter-gatherers and neighboring farmers from the western and eastern parts of the central African equatorial rainforest. We show here, by model-based demographic inference, that the effective population size of African populations remained fairly constant until recent millennia, during which the populations of rainforest hunter-gatherers have experienced a ~75% collapse and those of farmers a mild expansion, accompanied by a marked increase in gene flow between them. Despite these contrasting demographic patterns, African populations display limited differences in the estimated distribution of fitness effects of new nonsynonymous mutations, consistent with purifying selection against deleterious alleles of similar efficiency in the different populations. This situation contrasts with that we detect in Europeans, which are subject to weaker purifying selection than African populations. Furthermore, the per-individual mutation load of rainforest hunter-gatherers was found to be similar to that of farmers, under both additive and recessive modes of inheritance. Together, our results indicate that differences in the subsistence patterns and demographic regimes of African populations have not resulted in large differences in mutational burden, and highlight the role of gene flow in reshaping the distribution of deleterious genetic variation across human populations. There’s two major moving parts in this preprint. First, they using phylogenomic methods to explicitly model population history. Second, they integrated their demographic results in generation and interpreting the distribution of mutations within the exomes of these populations. 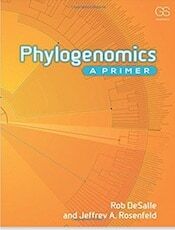 That is, they combined phylogenomics to gain insight into population genomics, as the latter focuses more on the parameters which define variation with a population. The data they worked with was from the exome. The regions of the genome which translate into genes. That’s ~30 million bases. They get really good precision due to high coverage, hitting site about 70 times. Their sample was about 300 Africans and 100 Europeans, and they got ~500,000 polymorphisms or variants for their trouble. The populations were labeled by subsistence and provenance. The Europeans were Belgians. For the Africans they had two groups of hunter-gatherer Pymgies, and two groups of Bantu agriculturalists, sampled from western and eastern locations as you see on the map above. The admixture plots, which separate out individuals into K numbers of populations break out in a way that makes sense. First, Europeans separate, and the eastern agriculturalist populations have a little bit of evidence of European-like ancestry. This is almost certainly Middle Eastern farmer, which has been found in many East African populations, and those populations which have mixed with them. Then the hunter-gathers separate from the agriculturalists. This is in line with expectation and earlier research; the hunter-gatherers of Africa seem very different from the agriculturalists, and are actually more closely related to each other than the agriculturalists in their neighboring regions. The exception to this pattern is caused by recent gene flow, which is clearly evident above. Due to population size differences it looks like there is more agricultural ancestry in the Pygmies than vice versa. I wish that they had sampled Mbuti Pygmies. I’m told that this group has the least agricultural admixture. The models you see that were tested are pretty simple, and they all seem plausible I suppose. Their simulations suggested that the three above scenarios, with alternative branching patterns and various gene flows, were all of equal likelihood. That is, given the models and the data that they had (4-fold synonymous sites which are likely to be neutral) you can’t distinguish which is right. In all the models hunter-gatherers diverged relatively recently and so did the agriculturalists. Europeans, who are stand-ins for all non-Africans in this scenario, diverged pretty early from the Africans. But how the Africans relate to each other and Europeans is not totally clear. Why? Because ancient population structure. It is becoming rather obvious now that ~100,000 years ago, and earlier, there were many different modern human lineages which had already diversified. The Khoisan seem to have diverged from other human lineages closer to 200,000 thousand than 100,000 years ago. What this means is that for most of the history of anatomically modern humans population structure existed between distinct lineages. And some of that persists down to today within Africa. After the initial population splits, the Ne of AGR and RHG (NaAGR and NaRHG) remained within a range extending from 0.55 to 2.2 times the ancestral African Ne (NHUM), whereas EUR (NaEUR) experienced a decrease in Ne by a factor of three to seven. 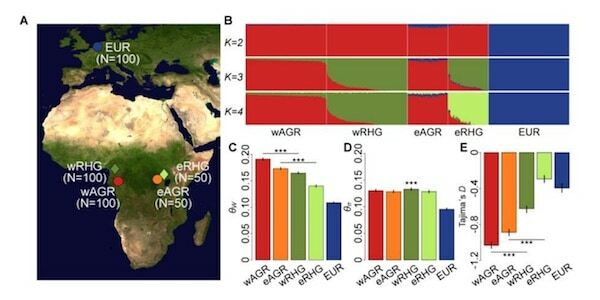 The ancestors of the wRHG and eRHG populations diverged 18 to 20 kya (TRHG), and underwent a decreased in Ne by a factor of 3.8 to 5.7 for the wRHG (NwRHG) and 7.1 to 11 for the eRHG (NeRHG), regardless of the branching model considered. The ancestors of the AGR (NaAGR) split into western and eastern populations 6.7 to 11 kya (TAGR), and underwent a mild expansion, by a factor of 2.3 to 3.1 for the wAGR (NwAGR) and 1.2 to 2.2 for the eAGR (NeAGR). The EUR population experienced a 7.1- to 8.3-fold expansion (NEUR) 12 to 22 kya (TEUR). No results are perfect. But some of these dates do not make sense. There’s a lot of circumstantial evidence that the ancestors of European populations began to expand over the last 10,000 years. The dates above suggest there was a Pleistocene expansion. Basically you can divide that value by half, and then you get a reasonable range. Second, both the agriculturalists sampled here are Bantu speaking, and there’s a good amount of cultural and genetic data for recent shared ancestry of the Bantu over the last 3,000 years. I understand that admixture with a very diverged lineage (e.g., eastern Bantu agriculturalist samples mixing with Nilotic populations, which is how they got some non-African ancestry, as well as local Pygmy groups) can inflate these divergence dates. If that’s the case, they should note that in the text. We don’t have much historical or archaeological clarity from what I know about divergences between Pygmy groups. This particular group has studied the topic and published on it before, so I’m inclined to trust them more than anyone else. But, the above dates for groups we do know make me a bit more skeptical of a simple divergence around the Last Glacial Maximum. Then there are the earliest divergences. And 85 to 140,000 year interval is huge for when non-Africans split off from Africans. If closer to 140 than 85, then that means that non-African divergence from Africans preserves ancient African diversity. That is, non-Africans descend from an African group that no longer exists (or has not been sampled in this study at least!). I’ve poked around this question, and when you take into account recent gene flow, it is hard to find the specific African group that non-Africans descend from, though there is some consensus that they branched off from the non-Khoisan Africans later than from the Khoisan. But there is also a lot of archaeological and some ancient genetic DNA now that indicates that the vast majority of non-African ancestry began to expand rapidly around 50-60,000 years ago. This is tens of thousands of years after the lowest value given above. Therefore, again we have to make recourse to a long period of separation before the expansion. This is not implausible on the face of it, but we could do something else: just assume there’s an artifact with their methods and the inferred date of divergence is too old. That would solve many of the issues. I really don’t know if the above quibbles have any ramification for the site frequency spectrum of deleterious mutations. My own hunch is that no, it doesn’t impact the qualitative results at all. Figure 3 clearly shows that Europeans are enriched for weak and moderately deleterious mutations (the last category produces weird results, and I wish they’d talked about this more, but they observe that strong deleterious mutations have issues getting detected). Ne is just the effective population size and s is the selection coefficient (bigger number, stronger selection). Why are the middle two values enriched? Presumably it’s the non-African bottleneck. This is where another non-African population would have been a nice check to make sure that it was the “Out of Africa” bottleneck…but it’s probably asking a bit much to sequence more individuals to 70x coverage. The lack of difference between the African populations is an indication that recent demography is not shaping the distribution much. Additionally, they note that gene flow between the African groups probably increased diversity in some ways, so that as long as a group is connected with other populations it will probably be rescued (note that none of these in their data were particular inbred as judging by runs of homozygosity). Finally, they found that the number of homozygote mutations that were deleterious is higher in their model results for Europeans than the African groups. This is not surprising, and what one expects. But, they found that this is a function likely of continuous gene flow between the African groups. Without gene flow homozygosity would have been much higher. This gets back to the fact that gene flow is a powerful homogenizing tool, and the lack of gene flow has to be pretty extreme for divergence to occur. Which brings us back to the “Out of Africa” event. The next ten years are going to see a lot of investigation of African phyologenomics and population genomics. Basically, the relationships, and selection pressures. It is totally implausible that Bantu groups in Kenya and Tanzania did not absorb local non-Nilotic populations. We’ll figure that out. Additionally, selection pressures are probably different between different groups. We’ll know more about that. But, ancient DNA will probably give us some understanding of why non-Africans went through such a massive demographic sieve. We know in broad sketches. But most people want to fill in the details. The first time I tried to get through Scott Atran’s In Gods We Trust: The Evolutionary Landscape of Religion, I gave up because it seemed so pretentious and impenetrable. 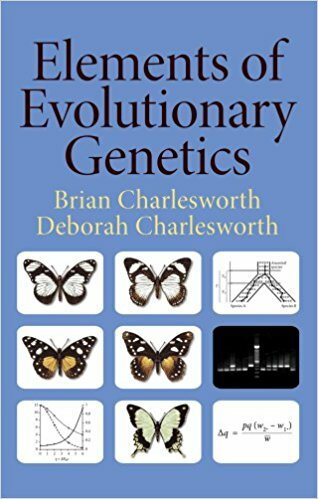 My curiosity was piqued by the fact that the subtitle alluded to evolution, and I was interested in evolutionary psychology. 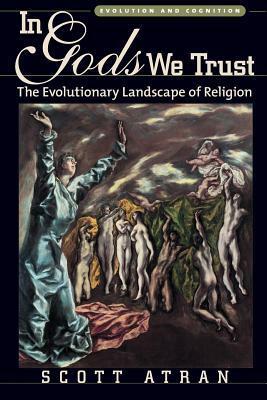 But though In Gods We Trust does talk somewhat about the evolutionary origins of religion, fundamentally it’s a work of cognitive anthropology. Because I did not know about this field, its lexicon struck me as totally opaque, and there seemed something almost Post-Modern and French about Atran’s prose. 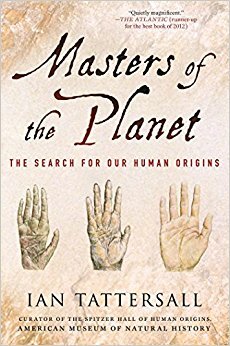 Actually though this perception made some sense, Atran, Dan Sperber, Pascal Boyer, and Larry Hirschfeld actually came up with the naturalistic paradigm in anthropology while meeting at Sperber’s home in Paris in the early 1980s. 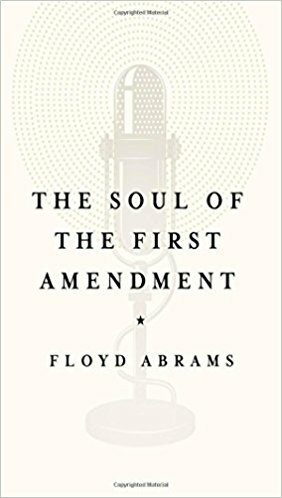 I did end up reading In Gods We Trust front to back a year after I initially tackled it, along with some other books on religion from this perspective (e.g., Religion Explained by Pascal Boyer). Up until 2007 or so I would write extensively on cognitive anthropology and religion, but I got what I wanted to in terms of insight after period and do not write much on this topic (in 2006 I actually got invited to a conference with a press pass on the topic of religion and evolution, my interests had become so well known in this domain). I suppose I still write about religion enough that that might hook some people. Though honestly I don’t have anything original to say…it’s just that much of mainstream commentary strikes me as totally dumb and uninformed. 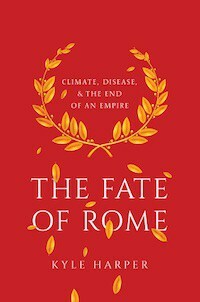 Francis Fukuyama’s The End of History and the Last Man has often been misconstrued. But, it did argue for the long term trend of the ascendancy of democracy and market values. Though Fukuyama did not necessarily predict the universal dominance of Western liberalism, that is one of the corollaries many associate with The End of History and the Last Man. 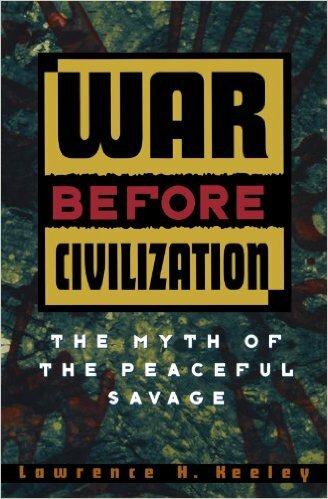 About 10 years ago I read a book which in many ways stood at total odds with Fukuyama’s thesis, Beyond the Global Culture War by Adam K Webb. I was very skeptical of Webb’s thesis, but intrigued by it. So much so that I did a 10 questions with him. 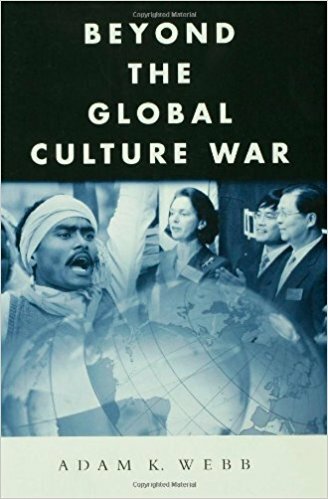 With hindsight I now believe that many of Webb’s contentions are much more relevant today in 2017 than they were when he wrote Beyond the Global Culture War. Though Webb was not prescient in the details, I think he did get at the fundamental limits of the Western liberal paradigm which were beginning to be exposed in the wake of 9/11. The above video is from a Portlander who is quite anti-Austin, though in a tongue-in-cheek fashion. The issue of cross-city comparisons was on my mind for two reasons. First, Joel Kotkin wrote an article last fall in Forbes, America’s Next Great Metropolis Is Taking Shape In Texas, that friends are sharing on Facebook. Second, I’m someone who has lived in both cities (around downtown Austin and the Hawthorne neighborhood in Southeast Portland). I still travel between Texas and Oregon, and it’s pretty interesting how people react when they find out that I live in Texas or that I’m from Oregon in the other locale. Kind of a wary curiosity about my opinions (in Austin one is careful to mention one’s California days lest the wrath of the native be triggered). 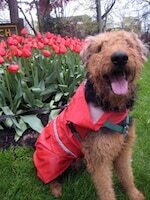 In Oregon it rains gently at an angle; raincoat, not umbrella. First thing, though the video above is kind of silly and not too serious, I do want to address one thing. Texas is not more arid than Oregon. I’m actually originally from eastern Oregon, so I have to remind people that 2/3 of the state is quite dry, whether it be semi-arid or arid. Inspection of the above map shows that a much larger portion of Oregon is extremely arid than Texas. Also, Portland gets 41 inches per year. Austin? 37. The difference is that Portland’s is frontal precipitation that is dispersed over much of the year in drizzles and overcast skies, while Austin is subject to more convective bursts. Where there are 145 sunny days in Portland per year (remember there is summer drought), there are 230 such days in Austin. Austin combines a vertical downtown with huge expanses of quasi-suburban sprawl. Austin still has a lower cost of living, mostly because of housing. Due to its rapid population growth, Austin’s transportation infrastructure and supply of health professionals is far inferior to Portland. But, the population growth is obviously due to an economic dynamism which Portland can’t match; unless you work at Intel it seems most educated young people in Portland are retired and working as a barista on the side (this is an exaggeration, but you get the point). Can you name Portland’s iconic food? preparation in Austin. The Colorado river in Austin is less geologically impressive than the Willamette, but there’s a lot more recreational activity because it’s warm and dry so much of the year. A major difference between Portland and Austin is the university scene (or lack thereof). Portland State University has about half the student body of UT Austin, but its prominence within the city (and nationally) is far less than that simple quantitative measure. 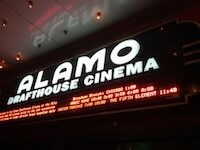 UT is located right north of downtown, so it’s an integral part of the Austin scene. In contrast, though PSU is located just south of downtown Portland, it is a much lower key presence. UT Austin is the flagship campus of the state university system of Texas. In contrast, PSU did not initially offer doctoral programs, and is a Research 2, a opposed to a Research 1, institution. Its roots were as a commuter school, and it still has many non-traditional students. 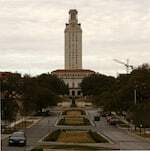 In contrast UT Austin students are some of the most academically talented kids from all over Texas, which does not have large elite private universities, like California (Stanford and USC are both much larger than Rice). Finally, the arts & entertainment scene. This is really about taste obviously. Portland has a more artisanal arts scene, if that makes sense. More off the wall, homegrown, and organically and haphazardly presented. I didn’t really take advantage of it much when I lived in Portland, but honestly I’m not big into the arts scene here in Austin. But I’ve gone to shows now and then. It’s hard not to in Austin, which is crawling with musicians, and where live music is blasting up and down 6th street. But as Austin has gotten more popular and well known, it has also gotten more commercial and commoditized. National acts like Taylor Swift an Adele swing through town, and SxSW and ACL are huge draws. It’s easy to take it for granted, and honestly now it’s just part of the background furniture of my life. Note: I don’t have much to say about the fact that Austin is the capital of Texas. For me the main consequence of this fact is that perhaps this is one of the major reasons that the flagship university of the state system was located here (though usually it doesn’t work out like that). The Capitol is downtown, and there’s some political stuff going on there. But it’s pretty sealed off from the rest of the town. In contrast, Sacramento, probably is more affected by being the capital of California, since the city is less distinctive. And Albany is totally overshadowed by being the capital (I am naming three cities where I have actually lived at some point). Posted in GeneticsTagged Population Genetics10 Comments on Dost thou know the equilibrium at panmixia? Around 3600 BC, during the Middle Uruk period, Uruk trade networks started to expand to other parts of Mesopotamia, and as far as North Caucasus. According to archaeologist Konstantine Pitskhelauri, this expansion started even earlier, at the end of the 5th millennium BC, and continued in the 4th millennium. Large masses of Uruk migrants settled in the South, and later in the North Caucasus. The sites in this general area include Habuba Kabira in Syria, and Arslantepe in Turkey. Uruk expansion to the northeast included sites like Godin Tepe in Iran. Tepe Gawra, in northwest Iraq, is another important site with deep stratigraphy that includes the Uruk period in later layers. Hamoukar is a large site in northeastern Syria that has been recently excavated; it includes Uruk and pre-Uruk layers. Uruk enclaves have also been identified at Tell Brak and Nineveh in northern Mesopotamia, and on the Syrian Euphrates at Qrayya, and Jebel Aruda. On the Euphrates in Anatolia, Uruk enclaves were found at Hassek Hoyuk, Samsat, and Tepecik (Elazığ Province, near Keban Dam). Sargon of Akkad is usually asserted to have been the first empire-builder in history, in that his rulership extended across many ethnicities, from the Mediterranean to the Persian Gulf. The Four Corners of the World he claimed. But the Sargonid system lasted for but a century, and successor Mesopotamian hegemonies did not extend beyond the land of two rivers until the rise of the Neo-Assyrian Empire over 1,000 years later. In contrast, the Uruk culture persisted for hundreds of years, far longer than successor polities in that area in the 3rd millennium. It was also more expansive than even than Sargon’s empire. There has long been a debate about the nature of the Uruk expansion. What is ideology? Was it trade? Was it migration? Was it conquest? Since we do not have writing to tell us a narrative we can never know definitively, at least until ancient DNA clears up the demographic questions. 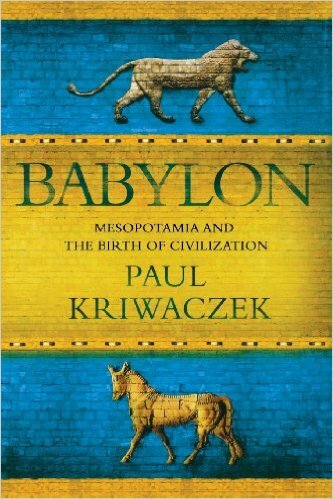 In Babylon: Mesopotamia and the Birth of Civilization the author points out that Communism spread across many societies without invasion (though in some cases there was external invasion; ask the Germans). Similarly, many religions have also spread without external invasion. Christianity’s spread to Armenia, Ethiopia, Georgia, and Ireland, occurred relatively gradually and synthesized without indigenous cultural forms due to broad-based diffusion as well as elite adoption so as to integrate into the Christian world system. But there is something very distinct about the Uruk expansion in contrast to the above examples: some of the cities seem to be replica copies of Uruk in toto. If it was an ideological movement of emulation by local elites only there should have been at least some synthesis even these narrow regions of Uruk-outside-of-Sumeria. In fact there seem to have been small pieces of Uruk society scattered across the Fertile Crescent (and beyond!) during this period, embedded in wholly culturally alien territory. Additionally, there is some circumstantial evidence for fighting and conquest. Now that we know there were massive migrations during the Neolithic and Bronze ages across the Near East and Europe, I think we should update our estimations of the alternative hypotheses. In light of radically decreasing genetic distance between the eastern and western portions of the Fertile Crescent since the rise of agriculture it seems implausible to think that the Uruk expansion might not have at least been partly mediated by the movement of people. People moved. So did ideas. That being said, as observed in Babylon: Mesopotamia and the Birth of Civilization, the recession of the Uruk hegemony after ~3100 BCE was extreme in its totality and rapidity. Heretofore longstanding zones of Uruk civilization outside of southern Mesopotamia disappear immedlately. Peasant ways of life which had flourished in the local regions during earlier periods reappear as the city-states disappear. Not only does the way of life defined by the Uruk period retreat, but the sole overarching preeminence of Uruk in what became Sumeria disappears, to be replaced by a millennium of jostling between rival city-states, Uruk (Erech in the Bible), Ur, Kish, and Lagash. Does this remind you of something? The Late Bronze Age was characterized by a collapse of civilization as well, with a regress to old centers such as Babylonia, Assyria, and Egypt. Smaller polities on the Levantine coast emerged in the wake of the decline of the earlier empires, while Greece and Anatolia went into “Dark Ages,” as the Mycenaean citadel society descended into barbarism and the Hittite domains totally collapsed. The city-states of Classical Greece were fundamentally different from the Mycenaean citadel-culture that had preceded them centuries earlier. The Greek civilization of the Bronze Age had adopted many of the forms of the Minoan society based in Crete and extending around the Aegean. Aesthetically, and in terms of their writing system. Mycenaean civilization was fundamentally one of rough hewn barbarians grafted onto a beautiful well developed canopy of Minoan motifs. And the Minoans themselves were clearly influenced by the broader constellation of Near Eastern civilizations, from the Hittites to the kingdom of Cyprus and down to Egypt. Classical Greece was very different, mostly doing away with the autocratic kingships of the Bronze Age, as well as adopting a different form of writing from the Phoenicians. Linear B was impenetrable to them. All the scribes had died without passing their knowledge. Though Homer and the broader corpus of Greek mythology clearly preserves elements of the Bronze Age society (translation of Mycenaean Linear B tablets makes it clear that many of the Classical gods had roots in the the pantheon of the Bronze Age), the Classical Greeks had forgotten their Mycenaean past (before Linear B was translated it was assumed by most that it was not Greek, but rather a mainland extension of Minoan civilization). The cyclopean masonry typical of Mycenaean citadels were believed by Greeks of the later period to have been constructed by…cyclops. This method had been forgotten in the several hundred year Greek Dark Age. The battles depicted in the Iliad are clearly those between petty Dark Age warlords, not the kings of old (though the prominence of Mycenaean cities such as Pylos and Mycenae were recalled). The point here is that Mycenaean Greek civilization, which was created to a great extent by imitating a non-Greek prototype, collapsed, after which there was total regression to peasant barbarism. The Greek civilization that emerged later was much more distinctive, and less imitative, than the initial incarnation. 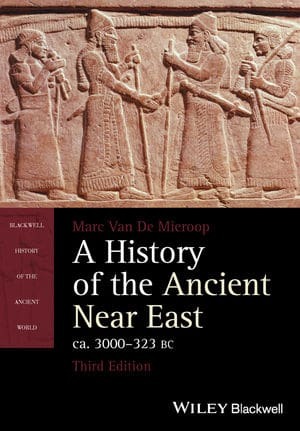 Unlike the case with the Mycenaeans, I believe that Uruk expansion to the west, north, and east, was mediated by migration and conquest from the source. 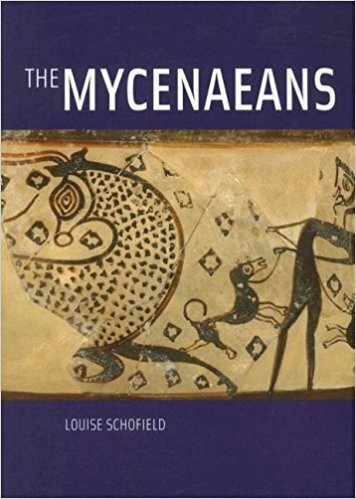 Mycenaean civilization was modeled upon, and strongly inflected by, Minoan civilization, which was modeled upon Near Eastern polities. But they were never total replicas of each other. Though there were certainly mercantile connections and colonies of Near Easterners in the Aegean, it seems likely that these later cases of influence were genuine instances of cultural diffusion. We have writing to back-up our presuppositions. In contrast, the nature of the Uruk expansion indicates transplantation in totality and exact replication of the original society. To me this reminds me of Roman colonies. Unlike cultural diffusion, the colonies of Latin speaking Roman citizens in regions of southern Gaul, Iberia, and North Africa, served as entry-points for Romanitas. But this Romanization could be reversed. 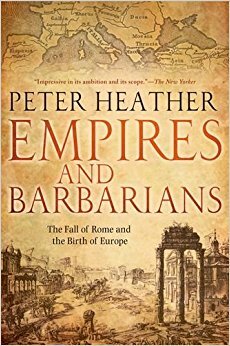 This was certainly the case in southern Britain, which had a fully developed Latin Roman urban society, but collapsed back to barbarism with the retreat of the legions. Arguably it was also the case in the hinterlands of the Balkans, with modern Vlachs and Romanians being the descendants of the Latin peasants. It is not difficult then to assume that if there was some exogenous shock to the Uruk system ~3100 BCE, the isolated colonies would quickly whither. 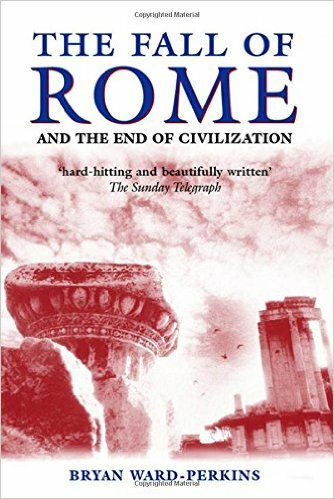 Just as the urban centers of southern Britain were replaced by fortresses of semi-barbaric British elites, so the subjugated hinterland cultures, which had persisted, quickly filled the vacuum left by the collapse of the Uruk polity. Eventually, just as Classical Greece developed its own distinct indigenous civilization in the broader commonwealth of eastern Mediterranean polities, so Ugarit, Ebla, Mari, the city-states of Hatti, and Urartu, came into the light of history in the 3rd millennium organically. In Babylon the author suggests that the flood legend allows them to partition their own literate civilization, which developed after 2900 BCE, from the fallow two century period after the collapse of the Uruk ascendancy. Could the the Sumerians have forgotten the greatness of the 4th millennium in a few centuries? I believe that they might have. The Uruk ascendancy of the 4th millennium, if it took political form, would have have exhibited none of the totality and dominion of a modern nation-state. Rather, like the Maurya Empire, and many antique polities, it would have been defined by numerous strongpoints extending out from a dense and well networked core. In the outer zones of control the dominion would have consisted primarily of close supervision of the interstices between territories occupied by indigenous tribal chiefdoms, who may have given nominal fealty to the local governor appointed from Uruk. A collapse would have consisted proximately of the destruction or abandonment of the strongpoints, and ultimately the forgetting of the period of alien hegemony by the local populations. At that time core Sumeria was an oral society, and in the centuries after the Uruk expansion there were major changes to many aspects of its physical superstructure, and therefore one presumes the ideologies underpinning the control of the population by the elite. Without written records the quasi-imperial past might have become muddied very quickly if there was a transition of elites. The peasants would have had no great incentive to remember the Uruk hegemony, while the nouveau elites may have wanted to created their own legends, rather than be haunted by the earlier greatness. 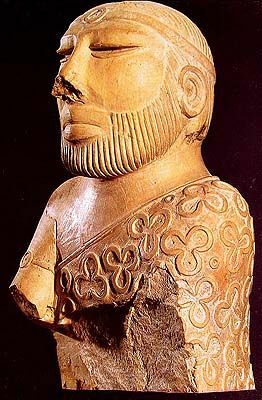 The Uruk ascendancy should not be a surprising idea when we think about it in the context of world “history.” The civilization of the Indus valley was certainly a civilization, but its script remains undeciphered. Though they were likely symbolic in some manner, it is quite possible that they were not a fully fleshed representation of language in the way cuneiform was. Most of the examples of the script are exceedingly short. But we know something about the Indus people in part because we know that they traded with Sumeria, and there were people from this culture who were resident in Sumerian towns. Clearly Sumer viewed these people as peers, albeit aliens. Another example would be the Inca. Before the Spanish overthrew their empire, it stretched from Columbia to central Chile. Because we have Spanish records, and memories of the Inca nobility who were assimilated into the post-conquest order, we know that this was not simply an ideological expansion. It was a military one. 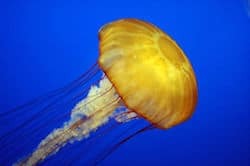 And one of demographic transplantation and imposition. Though there still debates, it seems most likely that the Inca did not have true literacy. And yet chemical tracers in the remains suggest that most of the Tollense warriors came from hundreds of kilometers away. The isotopes in your teeth reflect those in the food and water you ingest during childhood, which in turn mirror the surrounding geology—a marker of where you grew up…Just a few showed values typical of the northern European plain, which sprawls from Holland to Poland…. 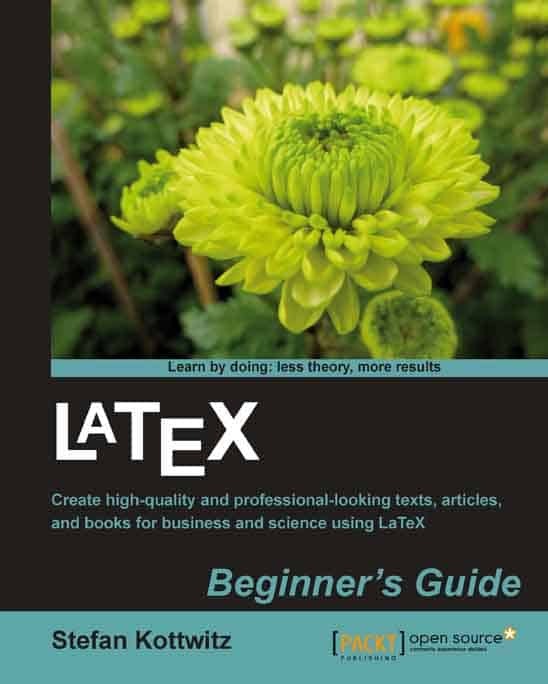 I recently installed a plugin that will allow me to render LaTeX. Mostly this is because I’ve long avoided writing out equations because it’s awkward in HTML, and it gets unintelligible quickly. 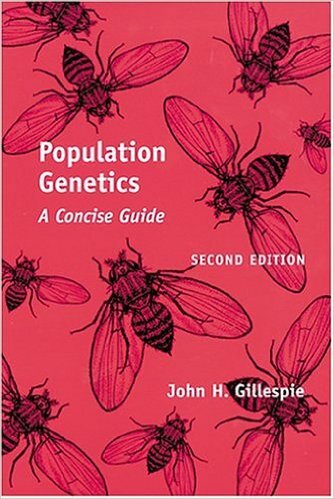 This will allow me to explore population genetics in its “natural language” a little easier. But I just noticed on my RSS feed view the LaTeX is not rendering for whatever reason. Where there should be equations or LaTeX rendered text there is a blank space. This is unfortunate, but I don’t know what to do about it. So just click through if you want the equations. If you are willing to “hum through” those portions it shouldn’t matter. The equations aren’t going to take up much of any post. Also, Donald Knuth is a god. Probably he’ll think that’s blasphemous because he’s a Lutheran and all, but The Art of Computer Programming beats the Bible in my book!